With Animana 3.15, you can choose to provide your customers with more flexibility in their online bookings. For clinics that offer online booking through Vetstoria, you now have the option to allow customers to book an appointment with the vet of their choice. You can determine which vets are available and in which time slots, offering a convenient service to your customers without giving up control of your clinic’s schedule. To make use of this new feature, you’ll need to set up scheduling in Animana for each vet user who is available for appointment booking. You will also need to make an appointment with Vetstoria to activate this. See our Knowledge Base article on setting up Animana for online appointment booking through Vetstoria for instructions. Now when you search for a patient in Animana, you’ll immediately see the client’s address in the search results. In our most recent Customer Satisfaction Survey, you told us you’d like to more easily see clients’ addresses when searching for patients in Animana. In 3.15, we’ve upgraded the search functionality to do just that. The client’s street address and city name now displays when you search for patients in search criteria where the patient name is included in a search result. This also includes patient searches using Client (Inactive) filter Search and Patient (Inactive) Search. To refine your view of the Patient and Client Files, we’ve improved the filtering options in two ways. First, we’ve added the new category of ‘Other’, which includes all the items that currently do not have their own filtering checkbox e.g. protocols, insurance claim and lab results. Secondly, we’ve added an option to Select or Unselect all filter options across the top of the menu, which saves you the time of individually selecting or unselecting filter options and provides a more convenient overview of the information you want to see in the file. Learn more about this functionality by clicking here. With this software release, we’ve expanded the array of IDEXX In-House Diagnostics tests available within In-house Analysis test menu in Animana. Under the Catalyst One and Catalyst Dx (R) Chemistry analysers, you’ll now see options for both the C-Reactive Protein slide and SDMA. Take advantage of the connectivity between Animana and In-House Diagnostics to benefit from bi-directional integration. If you have IDEXX in-house analysers but have not yet set up the connection with Animana, do not hesitate to contact our support team to get you started. Until version 3.15, the ‘reply to all’ function within Messages included everyone but the original sender of the message. You pointed this out to us in the last Customer Satisfaction Survey, which is why we’ve fixed this issue in Animana 3.15. Now when you select ‘reply to all recipients’ on a message, your response will go to everyone, including the original sender. Booking payments on previous book year. Should you wish to book a payment for a previous year go to: Financial > Balance Cash/Bank then choose the book year. This is the most efficient way for you or your accountant to close off these payments. (It is currently not possible to choose a different year when trying to take a payment on a specific invoice). Read more about how to take payments through Balance Cash/Bank here. 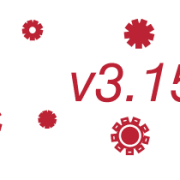 We hope you enjoy working with the new features and improvements we’ve introduced in Animana 3.15. If you have any questions about any of the changes in 3.15, never hesitate to check the Knowledge Base or get in touch with Animana Customer Support.